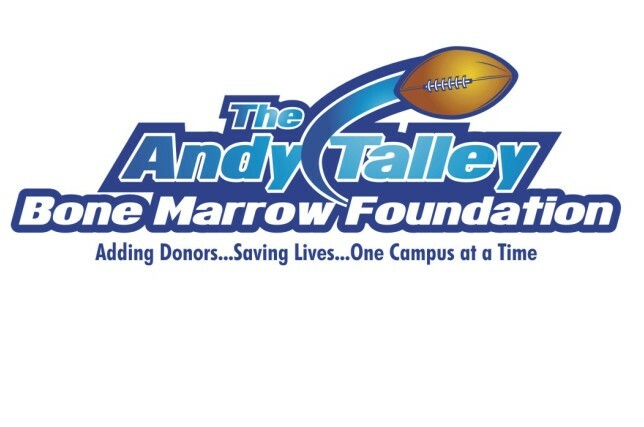 Andy Talley Bone Marrow Foundation - ATBMF - Free Way to Support Us! The Mission of the Andy Talley Bone Marrow Foundation is to increase the odds of finding lifesaving donors for patients in need of a marrow transplant by registering young, committed donors to the Be the Match Registry. Adding Donors, Saving Lives – One Campus at a Time. Villanova Head Football Coach Andy Talley started his non-profit foundation in November of 2010. With access to ninety young, healthy football players, Coach Talley began his mission to educate and promote awareness about the importance of marrow donor registration. Coach Talley partnered with Be The Match and together they formed the “Get in the Game. Save a Life” (GITG) initiative. “Get in the Game. Save a Life” is a program designed to educate college football players and their peers about the ability to save the lives of people diagnosed with life-threatening blood cancers through marrow and stem cell transplants. With a price tag of $100.00 per donor, and thus a $1,000,000.00 cost for each GITG season, funds are critical to not only sustain the program, but to help it grow as well. With his years of experience paired alongside tremendous support from the Be The Match, his college coaching peers, and the community, Coach Talley looks forward to growing his foundation and the GITG program into a national presence. We'll donate to Andy Talley Bone Marrow Foundation - ATBMF when you shop online! Once you’ve made a purchase with one of our participating stores, we make a donation in your honor to Andy Talley Bone Marrow Foundation - ATBMF. Over $13 million has been raised so far!